What a Killer Croc this is. A remastered Batman Arkham collection has been announced – bringing with it a host of visual improvements to Arkham Asylum and Arkham City – but we won’t be getting it, as it’s for console only. Looks like we’ll have to settle for our list of the best PC games instead. Poor us, eh? Now I know what you’re thinking: ‘these remasters are probably just the PC versions anyway’. Well, let me welcome you to Wrong Town. 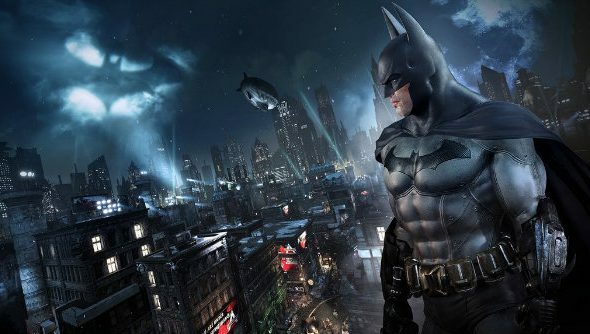 The first two Rocksteady Batman games have been completely overhauled in Unreal 4 for this collection, bringing with it all the benefits you’d expect from an engine upgrade. Upgraded character models, environments, lighting, effects and shaders are promised, though Warner Bros have been silent on frame rate and resolution. The remaster is being handled by Virtuos, the studio responsible for the PS4 ports of Heavy Rain and Final Fantasy X/X-2 HD. Considering the similarities between current-gen consoles and PC, it seems like a strange decision, but perhaps Arkham Knight has put Warner off PC forever. The collection includes Batman’s first two Arkham adventures, Asylum and City, but Arkham Origins and Arkham Knight won’t be included. It’s a collection of two games.